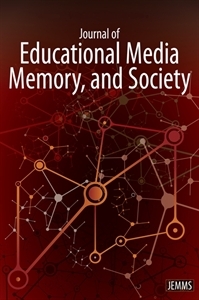 JEMMS explores perceptions of society as constituted and conveyed in processes of learning and educational media. The focus is on various types of texts (such as textbooks, museums, memorials, films) and their institutional, political, social, economic, and cultural contexts. The construction of collective memory and conceptions of space, the production of meaning, image formation, forms of representation, and perceptions of the "self" and the "other", as well as processes of identity construction (ethnic, national, regional, religious, institutional, gender) are of particular interest. Special importance is given to the significance of educational media for social cohesion and conflict. The journal is international and interdisciplinary and welcomes empirically-based contributions from the humanities and the social sciences as well as theoretical and methodological studies.